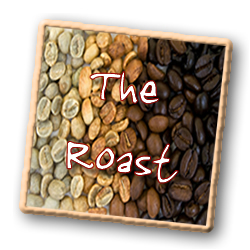 The Roast - Backdraft Roasting Co.
* It is all about you! BackDraft Roasting Co. guarantees the roast of your choice. Our general roasts are specific to the bean’s country of origin. Each region estate enjoys nuances specific to their topography, soil composition, weather, etc., BackDraft Roasting Co. does the research to ensure that roast of each varietal is truly representative of the best each region can offer. All of the individual personality, mouth feel, aroma, finish, flavor, etc., of each bean is presented to you for your personal selection. * BackDraft Roasting Co. will also roast and blend to your specification, just ask! * Other roasters – Roast to a color. Regardless of the origin of the bean. The individual characteristics of each region are lost. Most often roasters roast too dark and present burnt coffee beans to their customers.